I was looking through some pictures the other day and came across all of these gorgeous photos I snapped at a dinner in Miami last month. I had totally forgotten about these! And then I realized they would work perfectly for "D" week. It was my first trip to South Beach and it was in celebration of my friend Kim's upcoming nuptials. We had a fabulous four days in the sun, and enjoyed a very memorable meal at De Rodriguez Cuba on Ocean. Kim grew up in Florida, so she requested Cuban food for one of our dinners out. 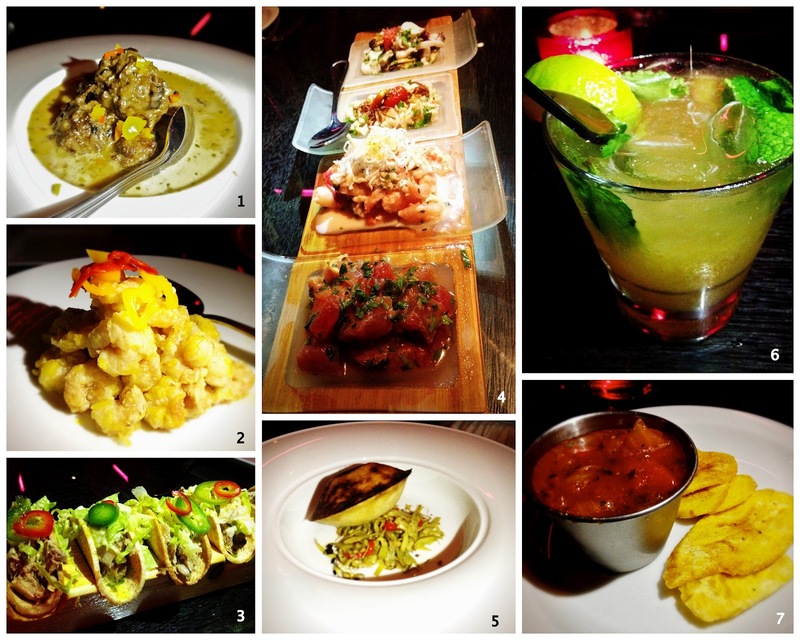 This was a "Nuevo Latin" spin on the traditional fare, and it was perfect for our girls night. We had a few appetizers for the table and Vidhi also ordered a bunch in lieu of an entree, so we got a good sampling of what the menu had to offer. 1.) Kobe meatballs in a black truffle mushroom sauce...everyone agreed these had amazing flavor. 2.) Crispy Shrimp Chicharron 3.) Smoked Marlin Tacos...also a favorite of the table. 4.) Ceviche sampler....every combo was incredibly fresh and really nice sized portions. 5.) Flame Roasted Papa Rellena...nice presentation as it was roasted tableside, but it was one of the least favorites of the night. 6.) Great drink list with lots of yummy mojitos! and 7.) Complimentary plantain chips for the table. Speaking of mojitos, check out this one. I don't remember the exact name of it, but it was a cotton candy mojito. It comes out as a glass of cotton candy and when the server pours in the alcohol, it melts into a drink. Definitely a nice effect. It was super sugary and I couldn't finish mine, but it was fun to try. As for entrees, we got 1.) Shrimp and Grits 2.) Skirt Steak 3.) Sugar Cane Tuna and 4.) Seafood Paella. By far, my favorites were the tuna and paella, with the tuna winning out for the gorgeous presentation. My only complaint is that the food was pretty pricey. But everyone thoroughly enjoyed their meals, and we had a fantastic time. 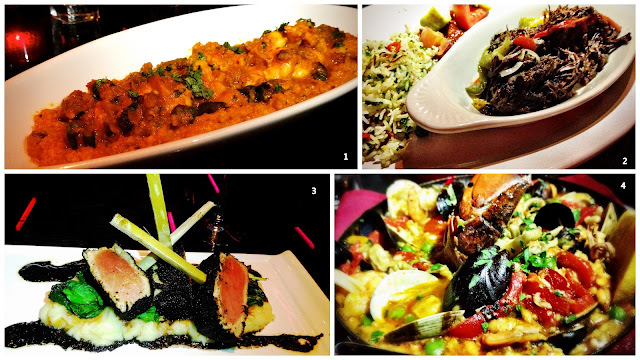 I would definitely recommend if you are looking for a fun restaurant in South Beach! I probably finished your cotton candy mojito! Your review is spot-on. Wonderful atmosphere and service to match the delicious fare. Wish we could go back right now!